South Bend Indiana festivals will be awesome this year! South Bend Indiana festivals and events – Here is your complete list of all the top festivals and events for South Bend this year. South Bend is known as one of the best cities in the nation for festivals and events scheduling. One of the hottest cities in Indiana for festivals! 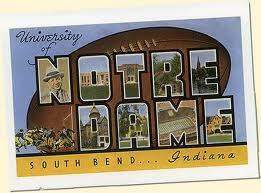 Here is your list of all the top events in South Bend Indiana listed by month. Select the event you would like to get more information on, where applicable and go to the festival page. The exact dates vary from year to year so please check the links where available to learn exact dates for current year. Click here if you would like to see all top Indiana festivals and events or to learn more about the Indiana State Fair. Festivals packages for South Bend Indiana! To purchase this package, visit the paypal site above for checkout. If you would like to get more information visit our festival package information page. For purchase with credit card, please visit Prime Time Print South Bend Indiana customized shot glasses page. Here are your top listings for events and festivals in South Bend Indiana this January. Here are your top listings for events and festivals in South Bend Indiana this February. Here are your top listings for events and festivals in South Bend Indiana this March. Here are your top listings for events and festivals in South Bend Indiana this April. Here are your top listings for events and festivals in South Bend Indiana this May. 1st Annual Paris Flea Market at the St.Joseph County Fair Grounds. June 8, 2013 from 7 am-4 pm. World Pulse Festival, South Bend, Indiana August 10th. One of the best Music festivals in the nation! Here are your top listings for events and festivals in South Bend Indiana this October. Celebrate nature’s spectacles as Comet ISON passes near the sun on Thanksgiving Day and moves into the twilight sky on December mornings–if the comet survives its sungrazing! Events at multiple ve…Here are the top festivals and events for November in the greatest city in the greatest state. Check out these events as we add more and update this page. We are currently in the process of updating our events for this month. A holiday festival open house for families of medically fragile children (up to age 21) and families of special needs children (up to age 15). Enjoy family pictures with Santa Pops! Top reasons South Bend Indiana festivals will be awesome this year!